We’ve all heard the old saying, “It isn’t what you know, it’s who you know.” Well, that’s not really true. Experience and expertise are important in any job. But knowing someone who can help advance your experience and expertise can provide a big boost to your career as well. Of course, finding a mentor who will truly invest in your career can be a challenge. Ask your manager whether your hospital or department has a formal mentoring program. If it does, outline your goals for career growth and ask to be assigned to a mentor who will meet your needs. If your hospital or department doesn’t have an official program, make a list of key co-workers (management and senior staff alike) who you believe you could develop a connection with. Look for people with good people skills, a positive work attitude, and a track record of getting ahead in the profession. 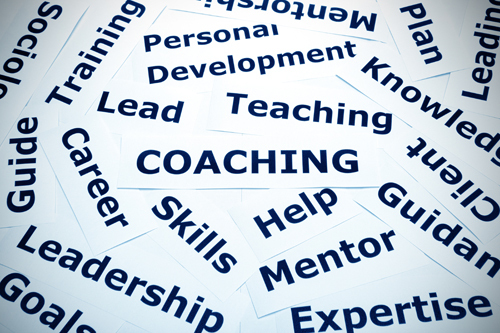 Approach the top person on your list and inquire about the possibility of a mentoring relationship. Your AARC state society could be a good place to turn as well. Attend some chapter meetings to get to know the other members in your area and look for someone who seems interested in helping his or her fellow therapists get ahead. You can also inquire about possible mentors by contacting your state society leadership. They have the inside track on who is willing to mentor and can put you in touch with the right person. Go back to your RT educational program and ask the program director or a favorite instructor to help you find a mentor. Educators are well aware of the role mentoring plays in furthering the careers of their graduates, and most will be more than willing to help. Still can’t find anyone who fits the bill? As an AARC member, you have access to 50K+ of your peers all across the country. Specialty Section members can monitor their discussion lists on AARConnect to find a mentor who would be willing to help them succeed. Helpline is open to all members and could be a good resource as well. Some of these mentoring relationships may be long distance, but with email and social media, a long distance mentorship can often be just as productive as one established face-to-face. Wherever you look for a mentor, keep in mind that often the best mentors are those who have been mentored themselves. So when approaching potential mentors, ask them whether they’ve had mentors (formal or informal) in their lives who have benefited their careers. That’s a great segue into asking them to mentor you. Once you’ve found the right person, keep in mind that a mentoring relationship is different from the typical relationships you develop with friends and co-workers. You’ll want to establish some guidelines for yourself and your mentor to follow, such as the time commitment involved, what you hope to learn from your mentor, and how you expect your mentor to be involved in your career building decisions. Finding the right person to be in your corner can go a long way to helping you achieve your career goals. And once you’ve made it to where you want to be, remember to pay it forward by mentoring someone else too!